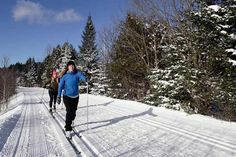 The Laurentians offer winter sports enthusiasts 12 ski resorts with a total of 342 trails for all levels. Family centers, world-class resorts, one of the largest evening ski areas and snow in abundance await skiers and snowboarders of all levels. Be ready for an incomparable variety of experiences ranging from easy to extremely difficult, ski glades and numerous snow parks. In the Saint-Sauveur Valley, only 45 minutes from Montréal, seven centers are opened for day and evening skiing. 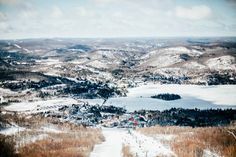 Mont Olympia is the best place for beginners, while Mont Saint-Sauveur offers the longest ski season in eastern Canada. 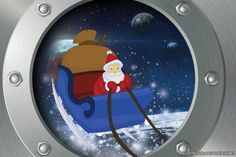 Its brand new Attractions Zone and The Viking, an alpine coaster, will dazzle everyone in the family. 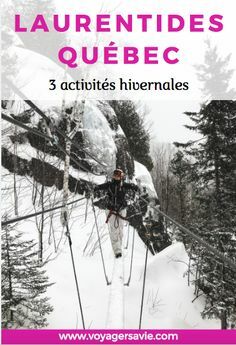 Ski Mont Habitant always receives heavy snowfalls; Ski Morin Heights is surrounded by nature; Ski Chantecler offers the longest magic carpet in Québec. Finally, Ski Mont Gabriel offers the best deals of the region! Also not to be missed: the Mont Avalanche sports station, with its panoramic view, Belle Neige and its exceptional snow conditions, Vallée Bleue and its picturesque surroundings. To top it off: the Mont Blanc ski center, family resort par excellence, and Tremblant, the highest summit in the Laurentians, nestled in the heart of the most important resort in eastern North America. Clearly, skiing wouldn’t be the same without après-ski! Animated villages, gourmet meals, festive restaurants and bars, plus a wide range of Nordic spas and health centers, what better way to end this unparalleled experience?